THE ADICTS sind nun offiziell Teil der Arising Empire-Familie. 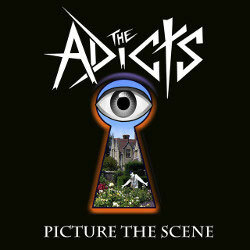 Zur Feier dieser Ankündigung veröffentlicht die Band ihre erste Single 'Picture The Scene' am 1. September als 7"-Single, die weltweit auf 1000 Stück limitiert ist. 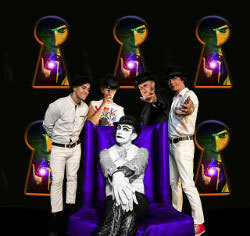 THE ADICTS kommentieren, "We are proud to announce we have signed to Nuclear Blast Records & Arising Empire Records. A new single to be released very soon stay tuned"
Nuclear Blast-Gründer Markus Staiger kommentiert, "Back then I visited my first punk show ever in Böblingen… I’ve never seen something like THE ADICTS before…THE ADICTS made me become a punk and are legends today!" Tobbe Falarz von Arising Empire kommentiert, "I’m accompanying this band for years and I’m super happy to welcome one of the most influencing UK Punk bands to Arising Empire!" Die Band wird ihr 11. Studioalbum diesen Herbst via Arising Empire in Europa und UK und via Nuclear Blast in den USA veröffentlichen.